Professor Jennifer Wang is the Distinguished Chair Professor at National Cheng-Chi University. She is the current president of Taiwan Risk and Insurance Association (TRIA) in Taiwan and the chairman of Fintech Research Center at National Cheng-Chi University. For the past three years, she has served as the Chairperson of the Financial Supervisory Commission in Taiwan. Professor Wang was also elected as a board member of both the American Risk and Insurance Association and the Asia-Pacific Risk and Insurance Association. 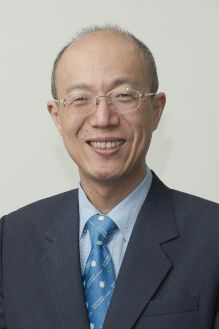 With extensive research in the risk management for insurance companies and pension fund management, professor Wang has served for years as the board of director and consultant for many life insurance companies and as the board member to various committees in major pension funds, including National Annuity Insurance Fund, Labor Insurance Fund, and Public Service Pension Fund in Taiwan. She was also the president for Pension Funds Association in Taiwan, and a research fellow of China Center for Insurance and Social Security Research in Peking University, China. Her main area of research interest includes risk management and insurance, longevity risk and pension, financial market, Fintech, retirement planning and annuity market, especially in the asset liability management issues for pension fund and insurance companies. Jason Chenghsien Tsai is a professor of the Risk Management and Insurance Department and the chair of the Research Center on the Sustainable Development of Insurance Industries at National Chengchi University. Jason’s research interests lie at the intersection of insurance and finance. He has published in the Journal of Risk and Insurance, Insurance: Mathematics and Economics, European Journal of Operational Research, among others. Jason has led and participated in many projects for insurance supervisors, organizations, and companies in Taiwan. He was a Fulbright Scholar visiting Santa Clara University. Jason’s doctoral degree is in Risk Management and Insurance from Georgia State University. He got his Master’s and Bachelor’s of Business Administration from Carnegie Mellon University and National Taiwan University, respectively.